Outdated paper maps. Messy handwriting in decade-old inspection sheets. No data to justify budget requests. These struggles disappear when you use Cartegraph, work and asset management software designed for small cities and rural communities. With Cartegraph, things don’t get lost in the shuffle. Asset maintenance activities, costs, photos, and notes are logged on your smartphone (iPhone or Android) throughout your day. There’s no paperwork to bring home. Everything’s completed and archived on the spot, helping you and your team focus more on the work that matters. Stop relying on best guesses to run your operations. Powerful data visualization and reporting tools help you see your data, guide your decisions, and spend tax dollars smarter. Need to justify a budget increase to council? Prioritize pavement projects? Develop a 5-year capital improvement plan? Cartegraph has you covered. Hurricanes, wildfires, floods, snowstorms: a disaster can strike at any moment. Are you prepared? 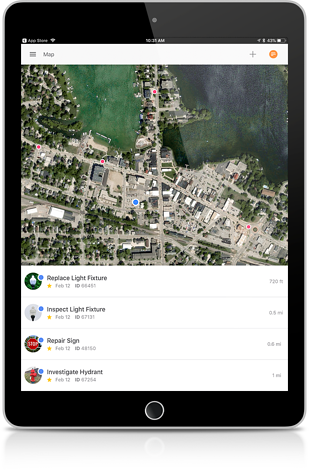 Track recovery efforts from your smartphone, and monitor progress as crews clear debris and complete other cleanup tasks. Easily track and share the data required for FEMA reimbursement, from activity plans and time records to material usage and photos. Cartegraph is built with your small community’s needs and budget in mind. 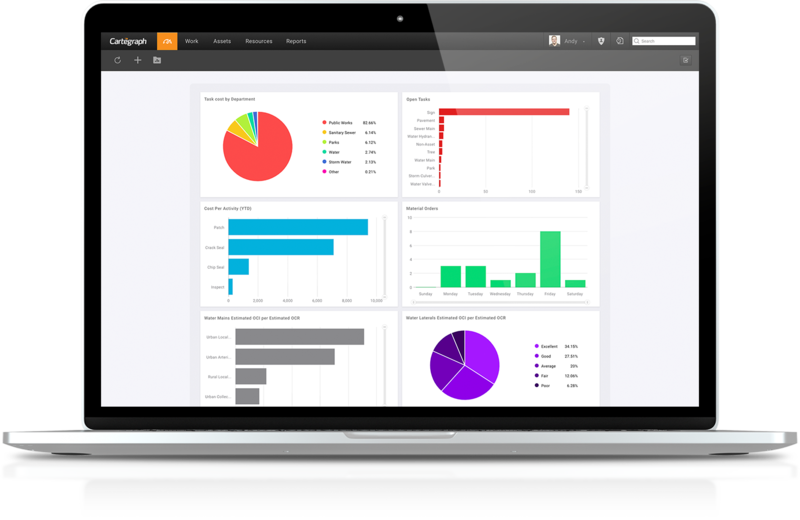 Trade in your filing cabinets and spreadsheets for a work and asset management system. Trust us. You’ll never look back.